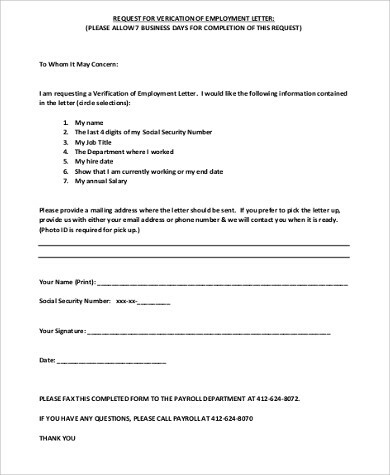 As a boss or employer, you may have encountered employees asking for a job verification letter. 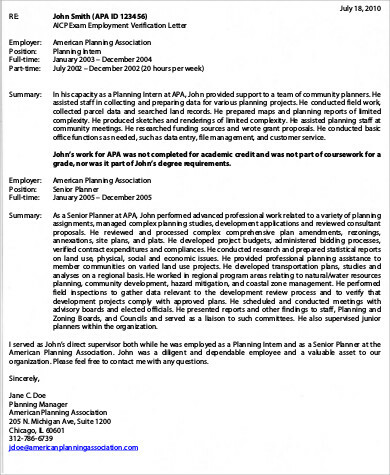 These documents serve as proof that the employee is indeed working with or has been associated with the company. 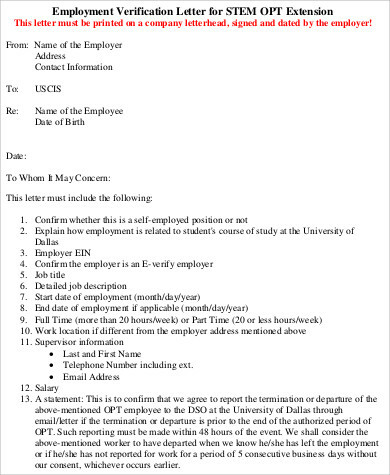 These letters are generally written whenever the employee is applying for a loan, applying for insurance, opening a bank account, or is being offered a job in another company. Whenever an employee requests for one, you as a boss are obliged to comply with this request. To make writing one more convenient, Sample Letters for job verification are available in this article. This will be your guide in writing an exemplary one without taking up too much of your time. Start the letter by writing the company name, address, and contact details. If your company has an official letterhead, it would be better to use that. Letterheads will make the job verification letters look more professional. If you know who will receive the letter, address it directly to the person or the receiving department. Your first few statements should explain who you are and why you are a qualified individual to write the job verification letter. State the employee’s duties and responsibilities in the company. Include his employee number, position, start date, end date (if applicable), job conditions, and if he/she is still working in the company. Never share sensitive information about the employee. 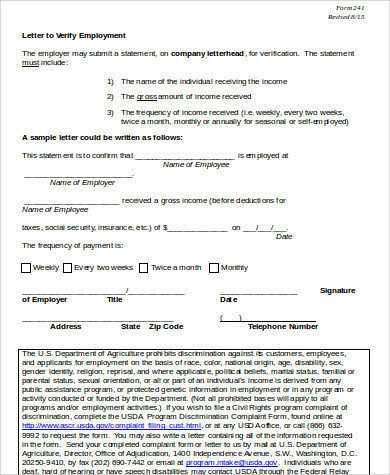 Leave your contact information so that the recipient can contact you should they have additional questions regarding the employee’s connection with the company. Let the recipient know if they can reach you anytime or what is the most convenient time for them to contact you. 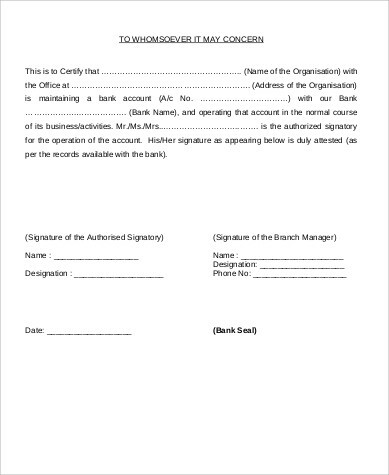 Close the letter and sign it with your official signature. Include your job title and the official company seal and stamps. 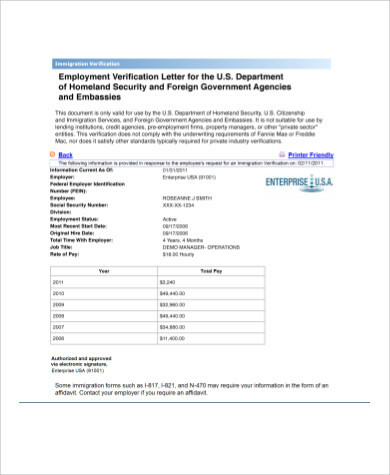 You can also check out Employee Verification Letters and Job Offer Letter Samples for more information. 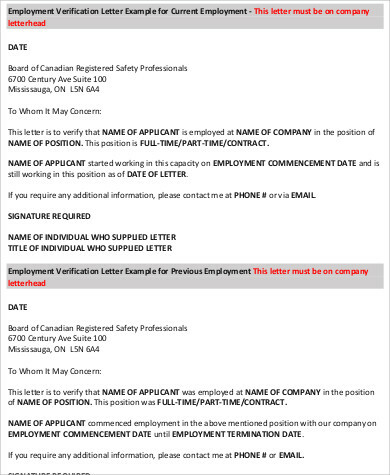 When it comes to writing a job verification letter, ensure that you are qualified to write one. It is preferred that managers and supervisors be the one to write these letters. You should also remember to use a formal and professional tone, leave out financial discussions such as salary and compensation packages if the employee is transitioning to a new job, and you should also be brief and concise with your letter. Ideally, the letter should only be one page long. 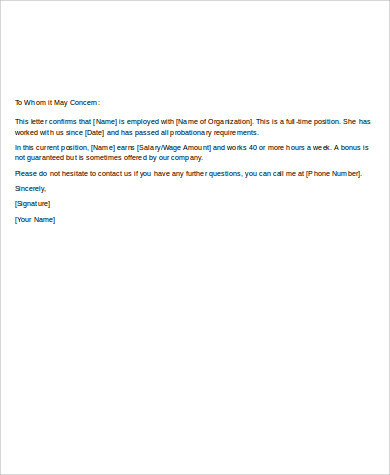 The requesting employee is expecting that these letters are to be handled seriously and that these are urgent requests. You should be careful when it comes to writing these letters because they can have a huge impact on the employee’s overall welfare. Mistakes should be avoided at all times. The sample letters featured here are easy to use and can give you ideas on how you can draft your own letters. With just one click of a button, you can easily download the templates. What you need to do is just choose a template that would best suit the requesting employee’s purpose. 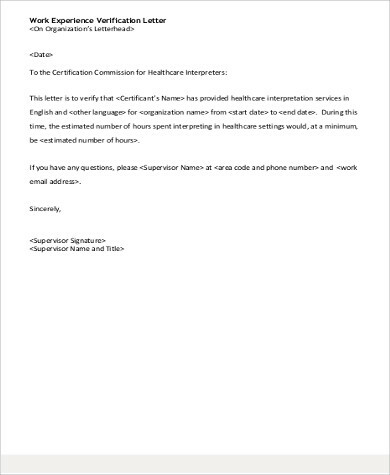 These templates will save you a lot of time and effort in creating one, and your employee will greatly appreciate your promptness in delivering the said letter. 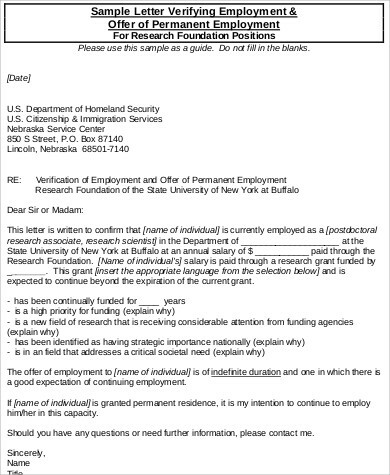 You may also see Employment Letter Samples.